Josh always looks and smells good, but he is EXTREMELY picky about everything that exists in his physicality. In fact you once saw him cry in the street over a case of bad high-lights on a cute boy. He is interesting to buy for, but nothing is worse than turning up empty handed to his colour-themed, annual Christmas party: the tears, the falling to the floor, beating his fists on the teak, and that is just when he finds out Smythson stopped making his fave Thank You cards! 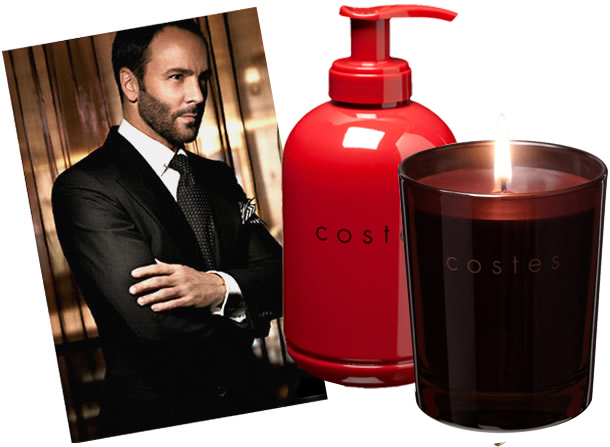 Fear not, as he unwraps (anything from) the Bath & Body Range by Costes (from £11), a knowing smile will spread across his face as he recalculates your eligibility as his cohort for Elton's next bash. Hotel Costes is THE Hotel to stay at when in Paris with one's latest squeeze, all the fash pack and AAA-listers stay there and this is the range that sits in all the bathrooms and dozens of the candles light your way through the foyer. The range's perfectly balanced spicy, woody, oriental scent is designed by cult perfumer, Olivia Giacobetti. Clear your diary, you will now be 'on the list'!